/ DR.OBERON - SOLUTIONS TO PROBLEMS STETCH ! The mother pay attention to guide their children how to care and protect the skin during puberty, their children have grown up to be a silky smooth skin offline. During pregnancy, so do not stretch properly prevented, many women have to wear those ugly stretch marks, loss of confidence, inferiority immensely. But not only with the elected parent and teens are growing, so we are not careful or do not capture the final preparations for his maturation process, also has faced one of the sad truth is that skin fractured by large so fast that your skin and you are not prepared for the sudden change that. So there you are only 15-16 years old age of green trees and grass alone but then again cracked skin of all, have you even scarring always. The mother pay attention to guide their children how to care and protect the skin during puberty, their children have grown up to be a silky smooth skin offline. There are several ways to care for and protect the skin as proper diet, supplements of vitamins good for skin through fruits, exercises, massage the skin, using skin care cosmetics. Below is a reference to the mother and treatment to prevent stretch marks by the product Dr.oberon. Dr.Oberon - Cosmetics care and treatment of stretch natural extracts safe for mother and baby, head in Korea, is now officially available in Vietnam. Product line care and treatment of stretch marks Dr. Oberon is Professor Stanley Cohen studies from bitter melon fruit extract (Momordica charantia), is a patent number: 10-1229062 and Food and Drug Administration (US FDA) accreditation. 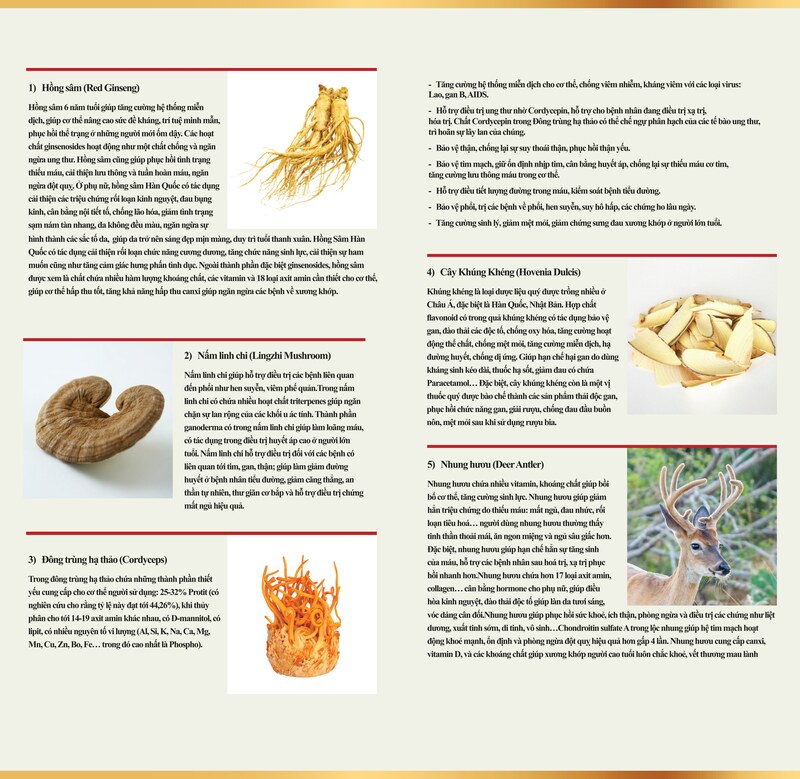 Dr.Oberon product line care and treatment should be used according to the particular route. To achieve the best results you should be patient and constant daily use, regular in 2 ~ 3 months, and full implementation of the previous step to bring out the best results for your skin. Stop immediately the formation of cracks. Please do not wait "lost cow shed new lo" offline! Dr.oberon products are extracted from natural, contain no parabens, no artificial coloring, no flavoring. Therefore, get medical association Dr.Oberon Korean Women recommended. To welcome the HAPPY WOMEN DAY, LYNH FARMA program won special gift for you. When buying cream or lotion 1 tube Dr.Oberon stretch, you will get 1 bottle of essential oil Dr.Oberon stretch. The program applies to end on 05/02/2016. Do not miss this special opportunity only them! 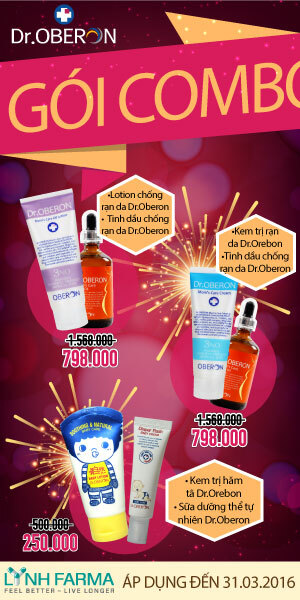 Dr.oberon now be imported and distributed exclusively in Vietnam by Lynh Farma limited company. Products are sold in pharmacies, hospitals, supermarkets mother and baby, spa and shopping sites online. 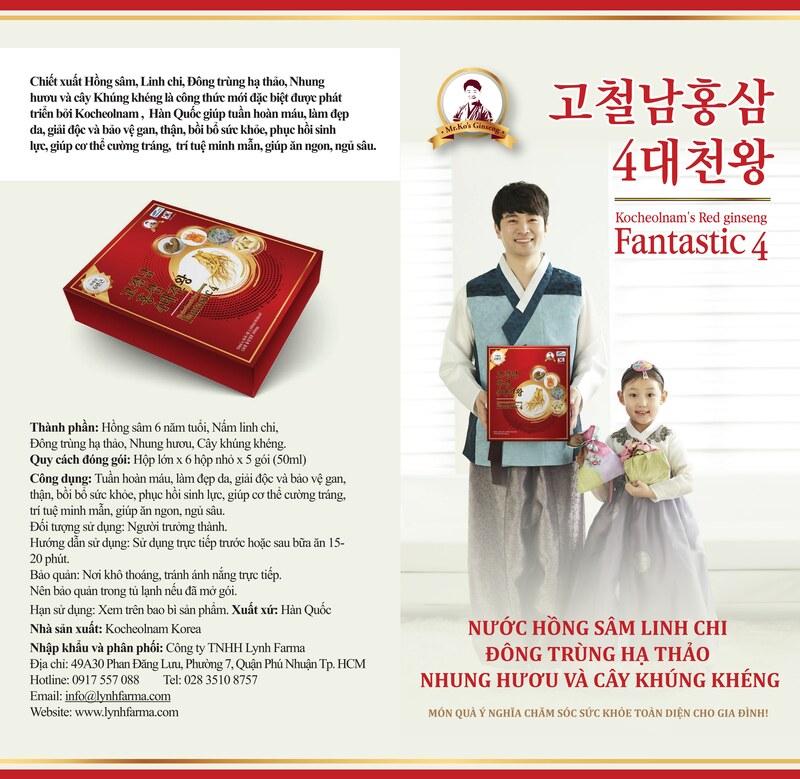 For detailed advice on the product and address your nearest store, please contact the Company LYNH FARMA CO., LTD.